Will President Trump cut aid to international queer and intersex advocates? With three weeks until the inauguration of Donald Trump as 45th president of the United States, activists for lesbian, gay, bisexual, transgender and intersex people here and abroad are expressing fear that the incoming administration will abandon their cause for equal rights. At a meeting earlier this month of international and American LGBTQ and intersex advocates, a consensus of concern emerged that the U.S. will no longer fund their efforts abroad once President-elect Trump takes office. The panel discussion took place at OutRight Action International’s annual summit at CUNY School of Law in the Long Island City, New York, on Dec. 10, as reported by the Washington Blade. It featured American trans activist Tiq Milan and a host of leaders from around the world. In his second term, President Obama has made the promotion of LGBTQI rights a cornerstone of U.S. foreign policy, and since 2011 he’s ordered his administration’s agencies to implement that pro-LGBTQI policy abroad. In 2015, Randy Berry became the first special U.S. envoy to promote LGBTQI rights around the world. Like him, the openly gay U.S. Ambassador to the Dominican Republic, James “Wally” Brewster, is about to step down. Jael Castillo Salazar, president and cofounder of OurCircle, an advocacy group in Belize, said the U.S. Embassy “has actually been our biggest supporter.” It was in June that the embassy raised the Pride flag for the first time in the former British colony. 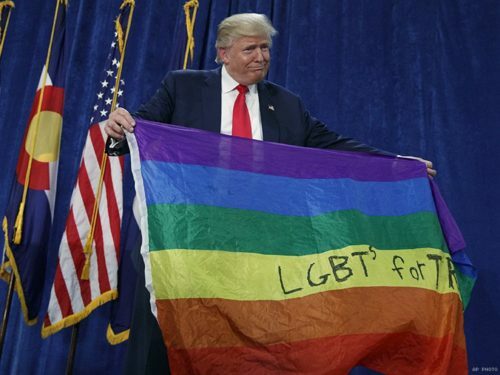 Ricky “Ricki” Nathanson of the Sexual Rights Center’s Trans Research, Education, Advocacy and Training (TREAT) program in Zimbabwe said the UK, the EU and Mexico can do more to support Belize’s LGBT advocates once Trump takes office. “This is the time for those bigger nations to step up,” she said.